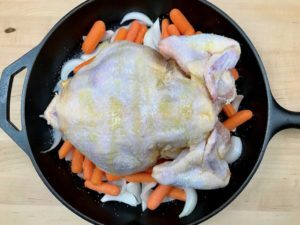 Golden, crisp, and flavorful, yet basic in preparation, this simply delicious Roast Chicken makes an incredible meal for any day of the week. Perfect meal for any level cook. 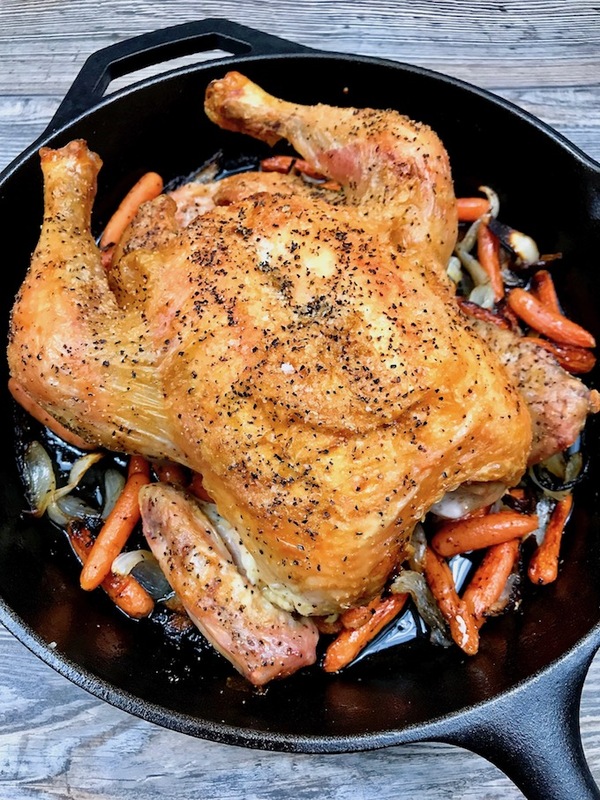 You can’t get anymore basic then this simple roast chicken. 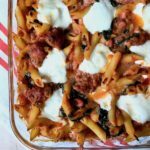 It’s so easy to prepare, it’s perfect for the novice cook. 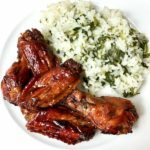 Don’t get me wrong, this is a go to meal for any level cook because it results in a crispy flavorful chicken and it’s all done in one pan. 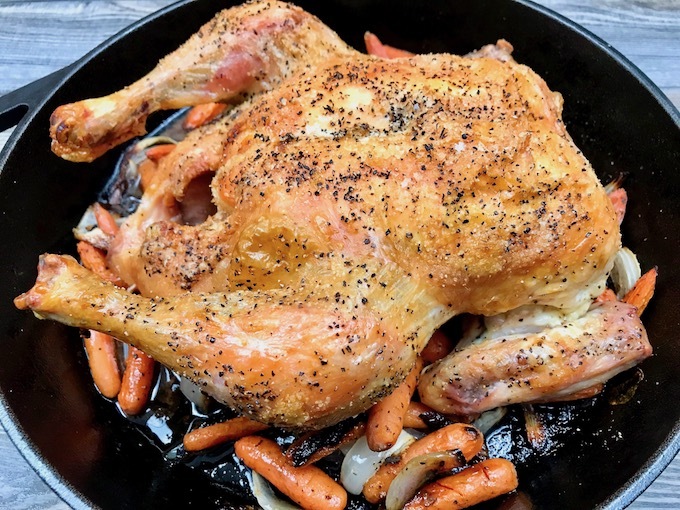 This is a no fuss, no basting, simple roast chicken. The chicken is roasted at a high temperature and done in about an hour. It’s the total opposite of my slow roasted chicken. Both of these are delicious and you can’t go wrong with either of them. It depends on how much time you have and if you want a rotisserie style chicken or a crispier chicken. I don’t use racks when roasting simply because I don’t like to clean them. 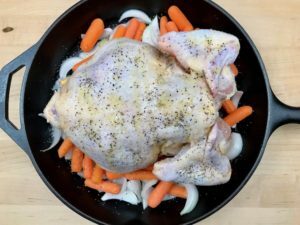 Rather than relying on a rack, I use sliced onions and carrots as the base for the chicken to rest on while it roasts. 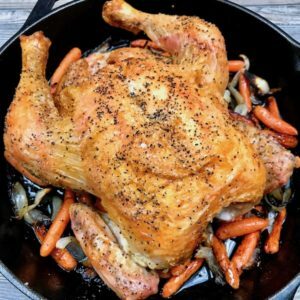 Since the chicken roasts on a high heat, the onions and carrots caramelize and turn into deliciously dark bites that pair perfect with each bite of chicken. 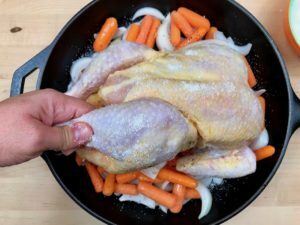 I use a 12” cast iron pan or an ovenproof skillet when roasting one chicken. If I’m roasting two, then a baking sheet is used. 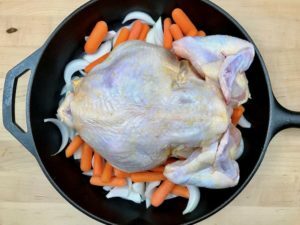 Since the chicken is placed on top of vegetables, it’s lifted enough for the heat to roast the sides for even coloring. When using a baking sheet, the whole chicken is exposed. 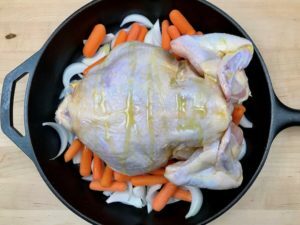 You’ll understand what I mean if you search roast chickens and notice the tops are golden brown, but when you see the sides, they are greyish yellow. That’s because a deeper pan is used and the sides of the chicken don’t get a chance to crisp. 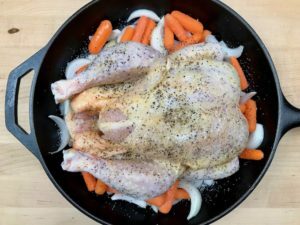 The only seasonings used to make this roast chicken are olive oil, kosher salt, and pepper. That’s it. 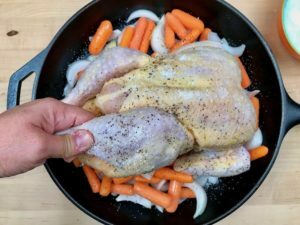 The chicken is seasoned while it sits on top of the vegetables allowing them to catch any drizzle or sprinkling that doesn’t stick to the chicken. The chicken is placed breast side down, seasoned, then flipped over and the process is repeated. 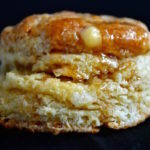 The cavity is seasoned only with salt. 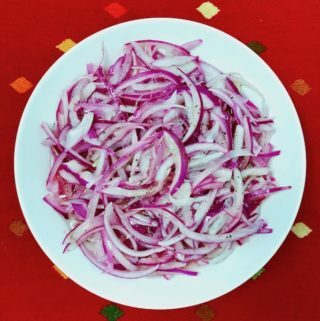 Don’t forget to season the sides. 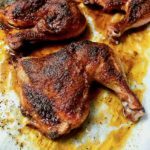 Since the chicken is roasted on high heat, it takes only about 50 – 60 minutes. The time depends on the size of the chicken and your oven. 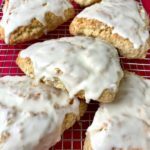 Life would be easier if all ovens were consistent, but that’s not the case. 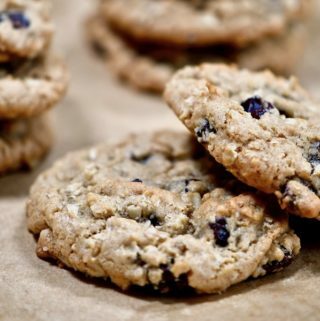 You can use an oven thermometer to keep your oven honest. Temperature should read 165 degrees when an instant read thermometer(affiliate link) is inserted into the thickest part of the thigh without touching the bone. Piercing the thigh and checking if juices run clear. Take out the chicken, cut along the thigh separating it a little from the body, and if the juices run clear, it’s done. You can also tilt the chicken up and let the juices run out of the cavity. If it’s not red, it’s okay. The only gravy you’ll need for this roast chicken is the juices in the pan. 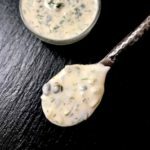 There’s no need to mix with a thickener or add anything else because the juices are incredible. 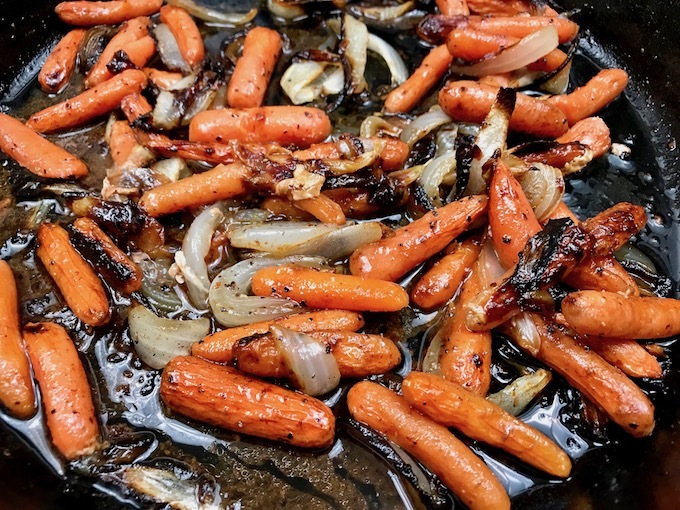 You may notice the carrots look dry on top because they are not stirred while roasting. Simply give it a stir and let them soak up the delicious juices in the pan. 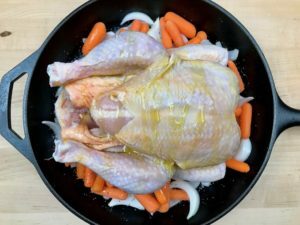 The juices rendered from the chicken are mixed with the onions and carrots giving you all the flavoring you’ll need. 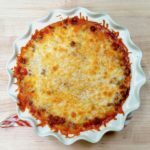 A 12 inch cast iron skillet, baking sheet, or oven proof skillet is recommended for roasting. 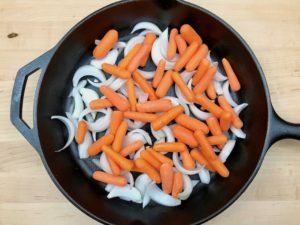 Place the onion slices and carrots in the skillet or baking sheet. 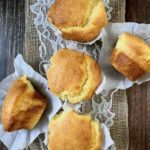 Pat the chicken dry with a few paper towels. Liberally salt the inside of the chicken. 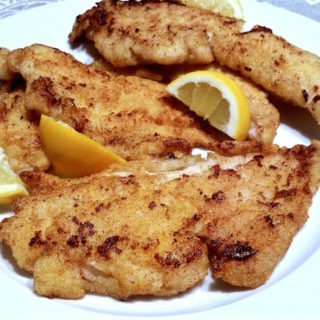 Place the chicken breast side down and drizzle with olive oil in a zigzag motion from top to bottom. Season liberally with salt and pepper. Flip the chicken over and repeat drizzling with oil and seasoning with salt and pepper. 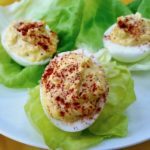 Don't forget to season the sides. You can tie the legs together with twine if you like. Sometimes I do this and sometimes I let them hang loose. Roast 50 minutes, then check temperature. Temperature should read 165 degrees when an instant read thermometer is inserted into the thickest part of the thigh without touching the bone. See Notes for other methods to check for doneness. Continue roasting until juices run clear when skin is pierced with a knife, 10 minutes or so longer. Transfer chicken to cutting board. Let stand 10 minutes before carving. You may notice the carrots look dry on top because they are not stirred while roasting. Simply give it a stir and let them soak up the delicious juices in the pan. Serve vegetables alongside chicken and drizzle pan juices over sliced chicken. You can also tilt the chicken up and let the juices run out of the cavity. If it's not red, it's okay.